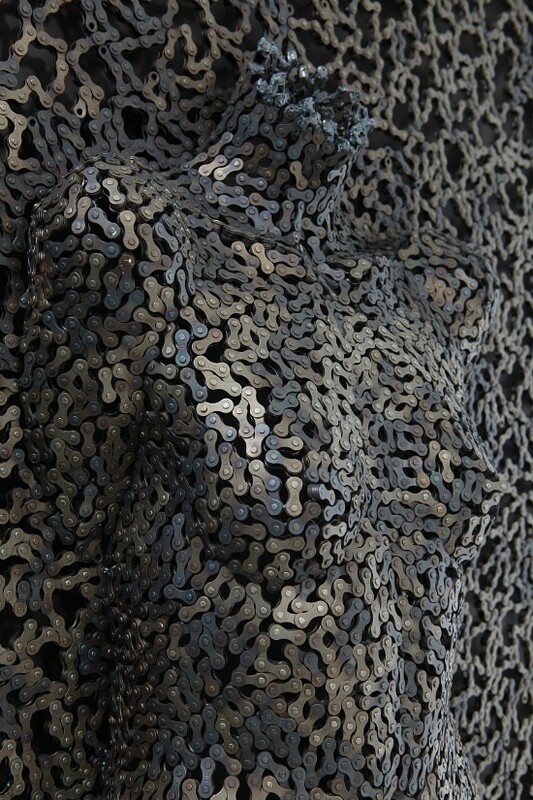 You are here: Home / All Posts / Bicycle Chain as Art? I Can Die Happy! 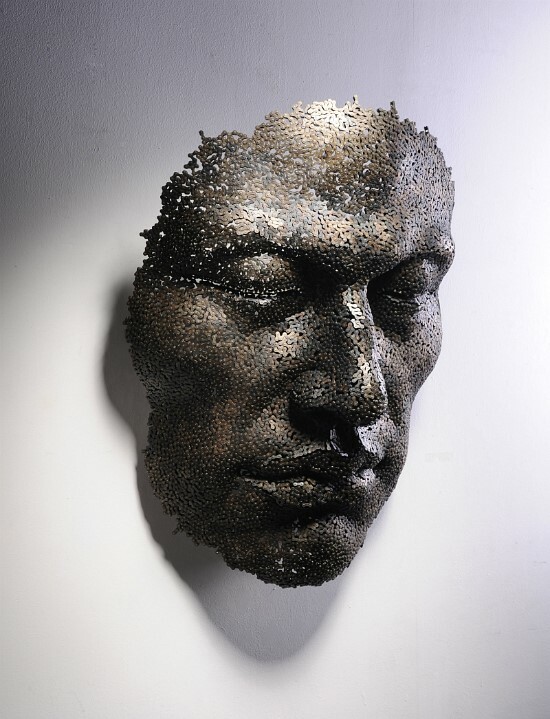 The Work of Artist Seo Young Deok! 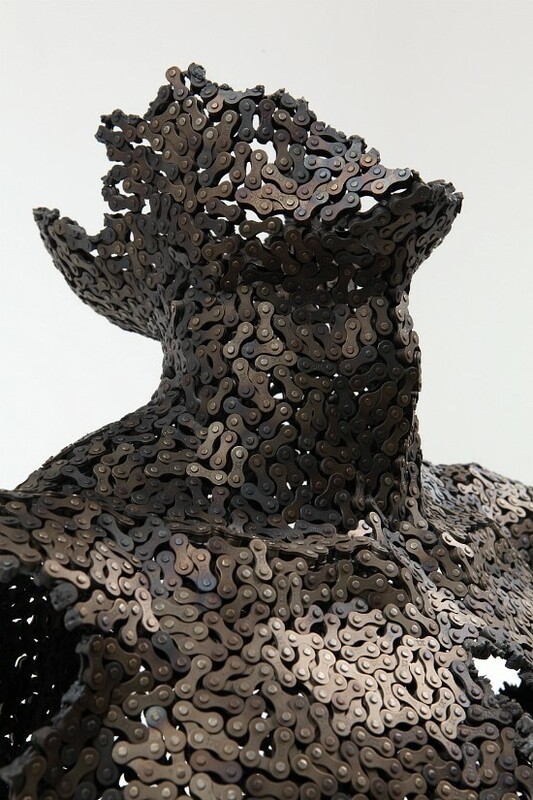 Bicycle chain art by Seo Young Deok. All rights reserved. 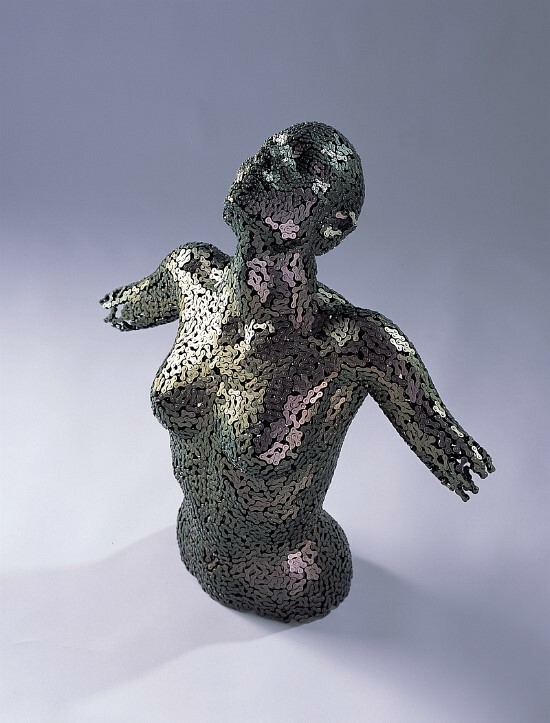 The incredible ‘works of Seo Young Deok are clearly inspired by the shapes of the human body, but artists have been sculpting masterpieces based on our natural curves for hundreds of years. 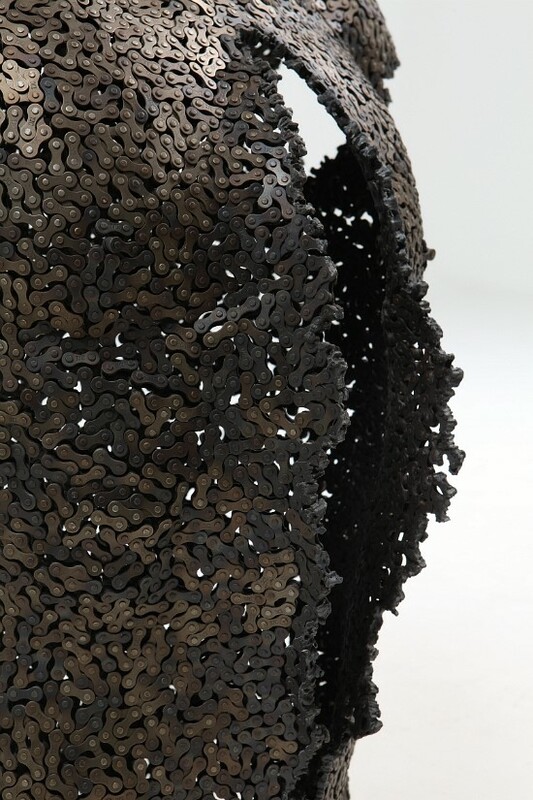 What makes this Korean designer special is the material he uses for his unique creations – bicycle chains. 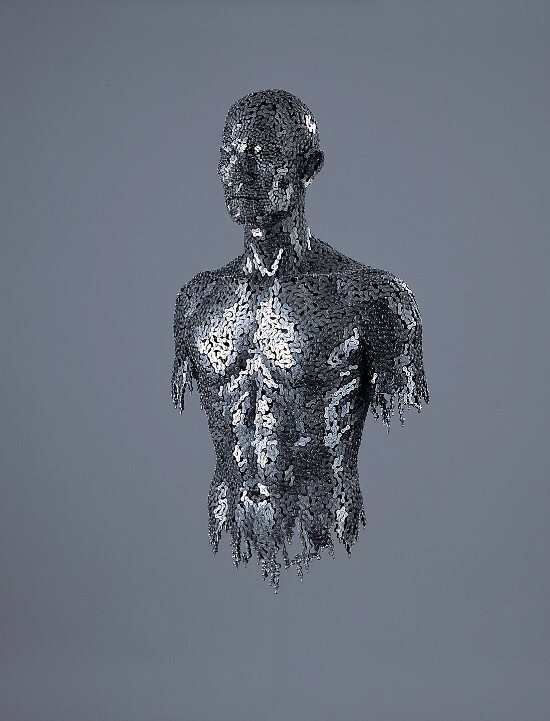 Miles of metal chains, to be exact, welded in such a way that they recreate the human body to the finest details. Deok says he finds inspiration for his art in crowded markets, and metro or bus stations, but also in Buddhist sculptures and paintings, which he has alway admired. “I like Asia Beauty” he says, “so most features of my work seem to take an Asiatic pose”. His work has an amazing amount of detail. It shimmers with a life all its own. He finds a way to make the chain look alive. The more I look at it, the more intricate, yet amazingly “whole” the work feels. 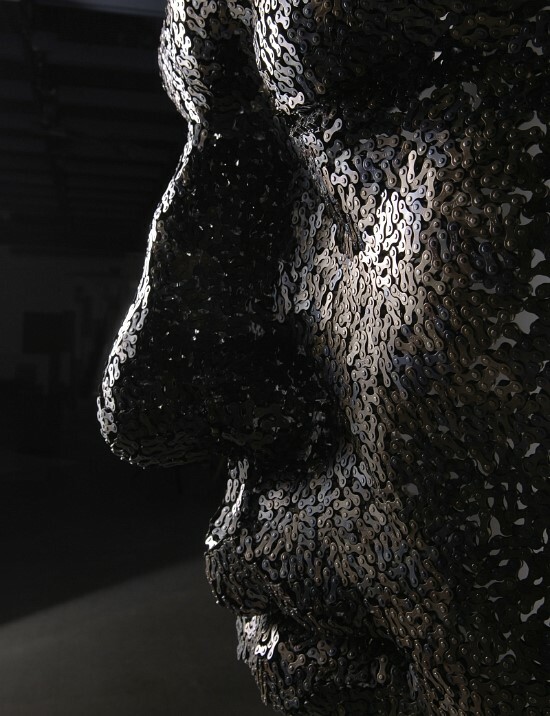 It makes me wish I could see this work in person…and maybe someday I’ll be lucky enough to get that chance. « “More Fire!” The Stunningly Beautiful Pyrography Artwork of Artist Julie Bender!